Our process servers are also licensed private investigators. This allows us to perform skip tracing and locate new addresses for individuals to be served who may have moved. This service greatly reduces the number of papers returned as unserved. At L. Lance and Associates, LLC, we pride ourselves on serving the hard to locate/hard to serve. All papers are usually served within 48 hours of receipt. We also offer rush service. Our rates are very competitive. Please call to discuss the rates that apply to your process service request. 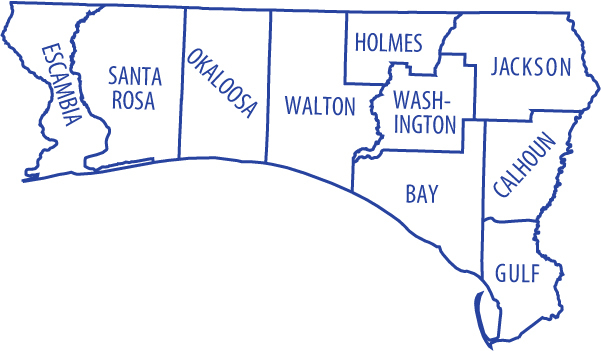 We are Sheriff and Court appointed in the First and Fourteenth Judicial Circuits of Florida. Please see map below for service area.